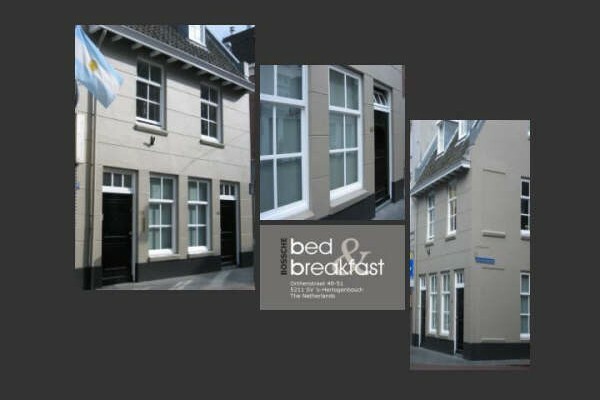 Bossche bed & breakfast is located on the ground floor of one of the monumental houses that are so typical for the beautiful city centre. 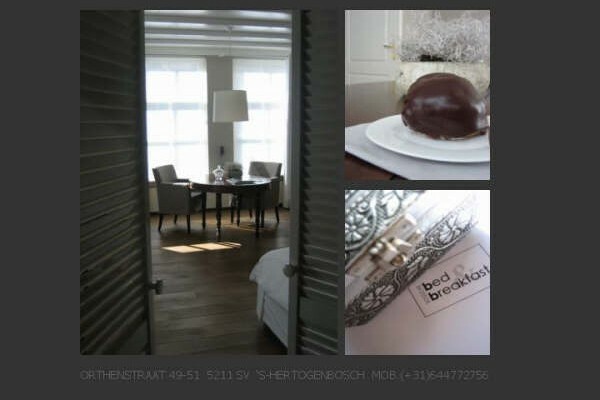 Enjoy the tranquillity of our comfortable facilities while being one step away for the hustle and bustle of ‘s-Hertogenbosch downtown. Bossche bed & breakfast offers you a spacious studio room of more than 45 m2 boasting connectable twin beds, dining table, television, wireless internet, refrigerator, tea- and coffeemaker, iron and a private bathroom with shower, washbasin and toilet. Breakfast is served in your room at a time that suits your needs. The above mentioned studioprice is our average rate. Please ask us for the valid rate. Children under 4 stay for free. We can provide you with a baby cod at a charge of EU 5,00 per night. We kindly ask you to pay upfront upon check in. Unfortunately we cannot accept debit- or credit cards. You will find an ATM a few doors down the street. Breakfast is served in your room at a time that suits your needs. We provide personal service and do our utmost to cater for any personal needs you may have. 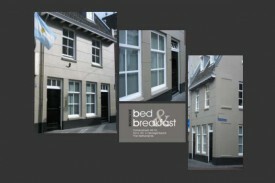 Bossche bed & breakfast is situated in one of the most popular shopping street of the city. Parking on the street is paid between 9.00 AM and midnight. You will find two parking garages (Arena and Tolbrug) a few steps away from your bed & breakfast. Their opening hours are: Monday through Saturday 7 AM – 9 PM. Sundays closed. Leaving the garage 24/7. 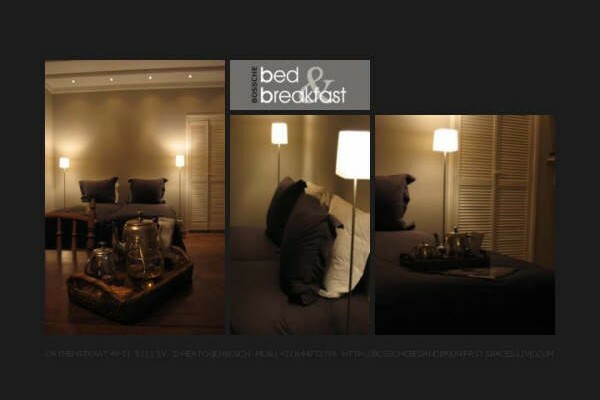 No experiences yet with Bossche Bed & Breakfast. Be the first! Did you stay in Bossche Bed & Breakfast? Let us know what you thought about it and help others to make the right choice! * I confirm having stayed in Bossche Bed & Breakfast. 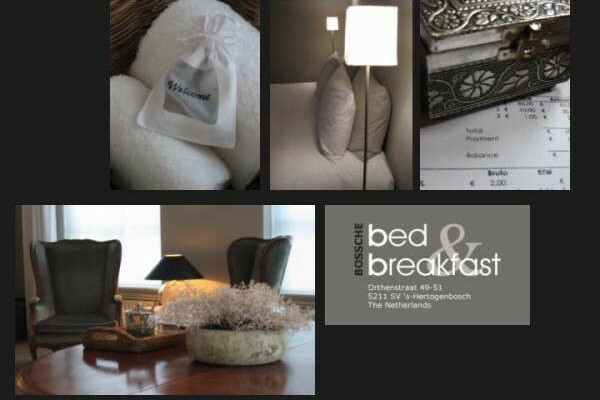 Find other bed & breakfasts in 's-Hertogenbosch, all bed & breakfasts in 's Hertogenbosch or all bed & breakfasts in North Brabant.